Selected candidates will get Rs. 5200-20200 + grade pay of Rs.1900/2000 / - from the organization. Selection Tests and achievements will be done in accordance with the assessment, academic qualifications, general intelligence / personality etc. Look around for the "SWR Recruitment 2018" for the sports quota post. A maximum of 42 years. How can I apply for the last contract of the South Western Railway 2018? 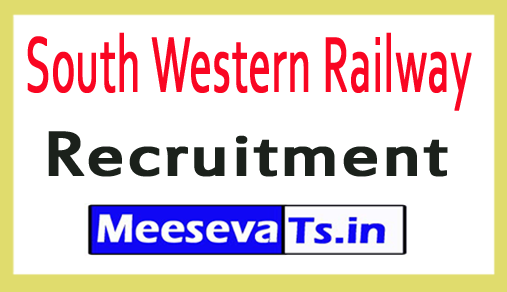 Look for "South Western Railway Recruitment 2018 for Junior Engineer (JE) Contributions".